Who said you can never go back? Seeing changes makes going back as much fun as the first trip, if you slow down and really get a feel for what you’re seeing. A second look is a chance to sit and soak in a bit of the feeling around you, not just race from site to site in a wind sprint of box ticking! 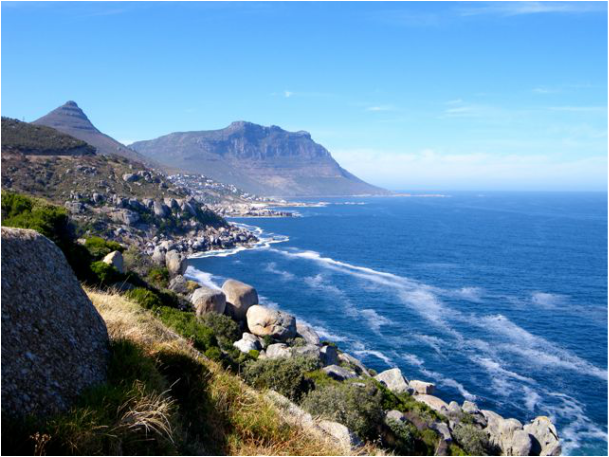 If there is a country I'd like to savour again, it is South Africa. The rainbow culture creates images as magnificent as the landscape. Like New Zealand, it seems to have everything within reachable distances. Mind you, I have only been to the Western Cape but, now with my confidence built, the rest of the country intrigues me even more. The great expanse of the Karoo was beyond my imagination. Looking at it made me wander into the past, the 17th century when the first settlers tried to make something out of the place. I can squint my eyes and see these trudging fundamentalist Dutchmen, shaking a fist at Catholic Spain as they formed their covenant with God in this fierce new place. But going back even further to the first people on earth, the San, how was their life? Why are they still here when so many younger cultures have disappeared? What is their uniqueness? We had a bit of a sense of this when we went to the San Center and the guide showed us the way these ancients lived, the plants and herbs they used, the way they melded with their environment as co-operants not dominators. It was fascinating. Interesting villages, not overpowering. Often perfently preserved ffrom the 18th century and earlier, dotted the road and crowded by nature’s beauty and served by fantastic roads. Franschoek, Stellenbosch, Tulbagh, Ceres, Simons Town, Paarl and many others. The mountain passes with sheer drops and the peaks that hang over the sea. Neat little villages with Dutch and English themes. Vast vineyards and orchards set against an African sky so blue it hints of heaven. 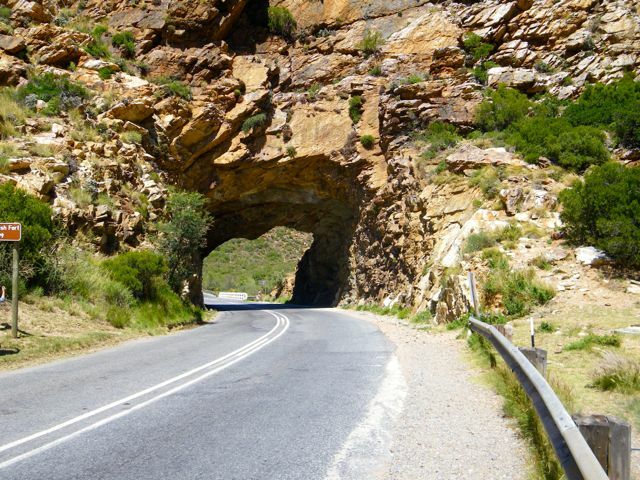 We drove through the Western Cape and often, we would just stop and stare at the scenes. We have travelled to over a hundred countries and had seen nothing to compare with this in terms of set-piece beauty. Each evening when the daily trip was over, we’d go back to Michener’s Covenant or to a History of the Boer War and other novels. So then the next day we had to see places we just read in novels and share the sites and sights painted there. Few histories are very pretty. 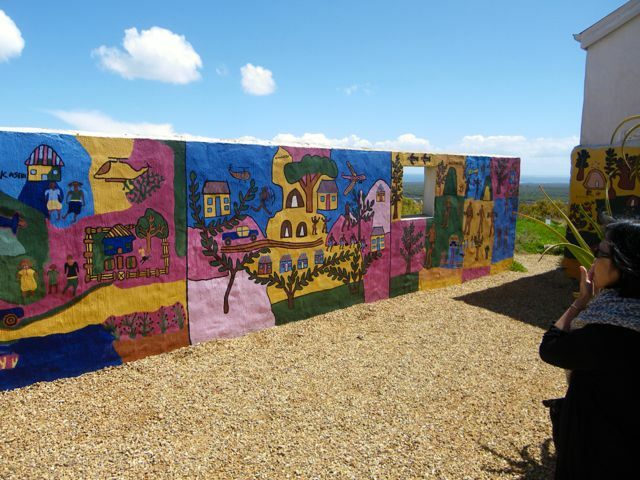 But the Cape Province provides a tapestry of history that builds great novels and living with the characters as you wander their country is a great experience, a Wilbur Smith “Courtney” at every turn. You can't be there and not go on a safari. The big 5 want to introduce themselves as well as the other colourful residents of the Karoo including the unique Karoo sheep. The Penguins in Simons Town must be seen and chatted to as must the peacocks in Tulbagh savaging the sides of small cars with bright paint. This part of South Africa has everything and yet it is accessible, easy to drive through, quite safe, and filled with a magnificent cast of real and imagined characters to give life and energy to every inch of travel. Here's a video of the safari we did at the Western Cape.